My camera a Pentax K10D has three ways which it can be remotely triggered. One is a long lead using a jack plug I found a problem when using it that camera movement would also cause it to triggered I blamed a poor connection with the jack plug but on a tripod capturing earth movement it worked well. Lead was not that long so if one sits in a deck chair, and press remote worked well, hide in the shed not long enough. Second is wireless again works well, but once the camera goes into sleep mode it fails. Also can’t be used for bracketed shots without multi presses. The third is through PC this offers a lot more I can set time between a sequence of shots, and set extreme time exposures, and even alter the mode and set the shutter speed, lens aperture, and camera ISO from the PC however the camera does not go into sleep mode so battery becomes flat rather quickly about 2 hours. Also the battery in camera goes flat quicker than I can re-charge spare so even with three batteries the time I can do it for is limited. 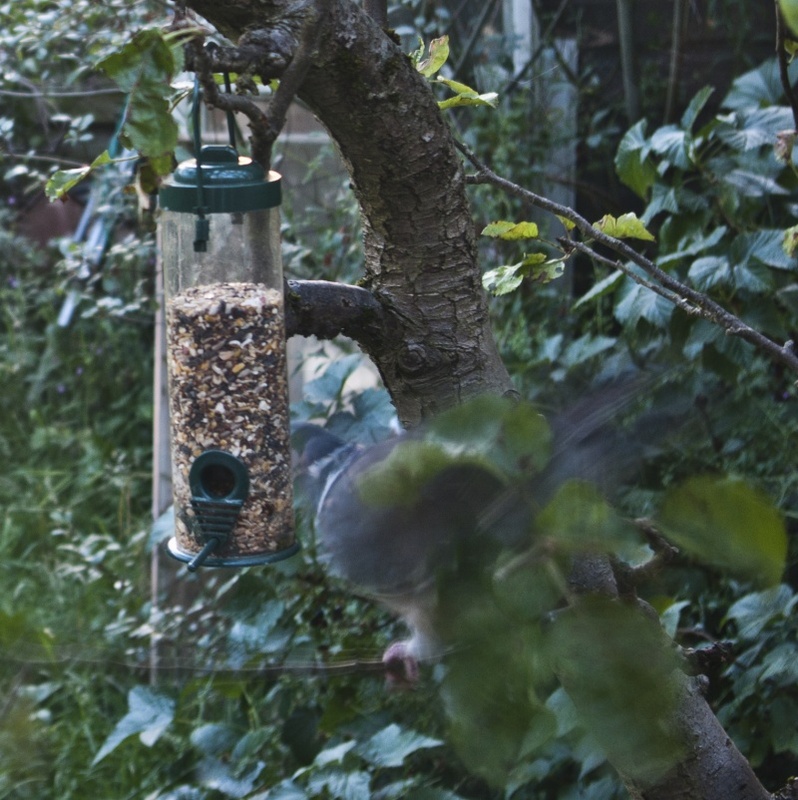 I want to capture wild life and first thought was a movement sensor, but to start with set camera near to bird feeder with a set interval time, using PC to trigger, and see what I caught. From that a simple movement sensor would not really work, as when the bird is still is when one gets the best shots, so unless there is a delay between sensing movement, and working shutter one will get a series of blurred shots. Also the battery in camera goes flat quicker than I can re-charge spare so even with three batteries the time I can do it for is limited. I have found Aperture LCD Timer Remote Shutter Cord for Canon G12 G11 Pentax Samsung for £15:50 approx so not too expensive which would redress the battery problem, but still wonder fixed time or movement sensor? The trailmaster trail monitors, like wireless remote uses infrared, so would either fail when camera went into sleep mode, or the battery on camera would only last couple of hours. So it would seem any motion sensor needs to be home made. Not that is really hard, but unless it’s likely to work not sure if worth the effort. Beam braking may work better as would capture items which are moving slowly, so more likely to get a good picture. The other option for night time is flash, which should freeze motion, but would again reduce battery life. The PC experiment has pointed out some clear problems. 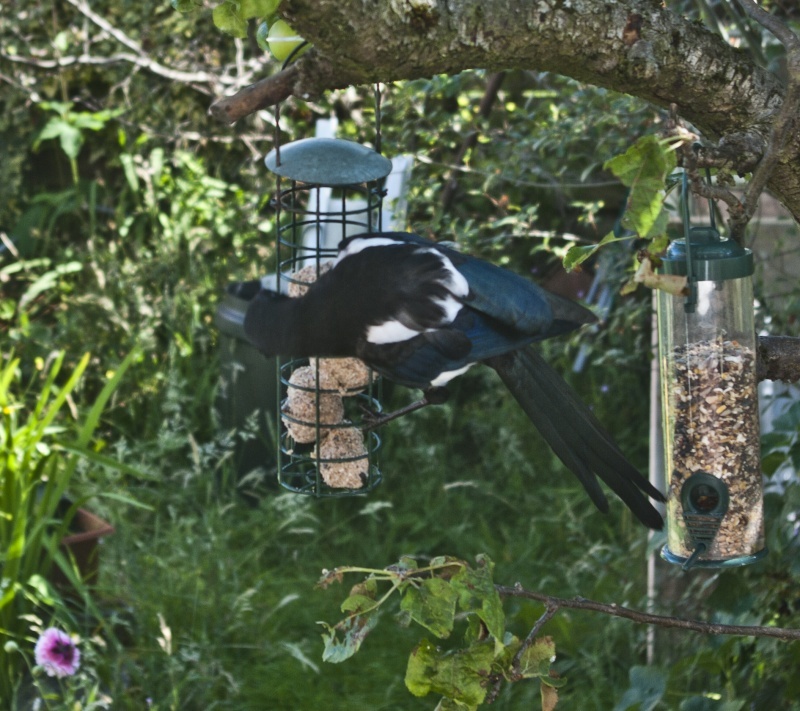 The bird feeder has regular visits so reasonable chance of catching one on camera, but taken as batch of 20 with 240 seconds between each picture very few contained pictures of birds and those which did many were moving too fast to get a good photograph. So any thoughts, and has anyone else tried capturing wild life without being with the camera? As a PS thought better also show a failure. This at 03:25 in the morning f4.5 with 0.7 second and ISO 100 clearly not enough light to catch the early bird!